Sarika Batra is the Producer and Director of ‘Meet the Drapers’, the first-ever startup crowdfunding show that features startups pitching 3 generations of Drapers. The twist is that the millions of viewers are the investors! Sarika will reveal how the show was created and how you can have the opportunity to pitch to the Drapers. She will also discuss the structure of the deals and investments that may be made. Listen to the end to learn what it takes to produce a show of this caliber. 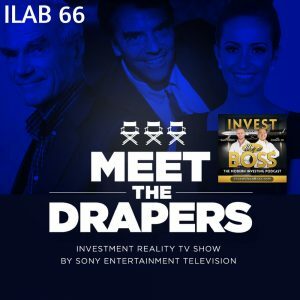 Listen to ILAB 66 on iTunes here or subscribe on your favorite podcast app. 03:24 – Who are the Drapers? 37:13 – How can you watch the show?